The third day of the Indian Premier League will see Rajasthan Royals clash with Kings XI Punjab at their home ground - the Sawai Mansingh Stadium in Jaipur. Both teams met contrary fates in the last season of the league. 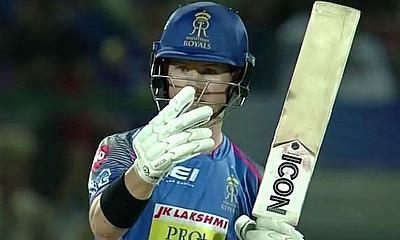 While Rajasthan Royals started poorly but picked up, credit to sensational batting from Jos Buttler, Kings XI Punjab started on a great note and were leading the points table for some time after which their performance dropped and ultimately they missed qualifying to the playoffs by a small margin. it will be worth looking at the matchbook for the best odds on either of these two teams making the playoffs. Ajinkya Rahane will lead Rajasthan Royals and will open the batting for them along with wicketkeeper Jos Buttler. Steve Smith is expected to be back and slot at number four with Ben Stokes to follow. Krishnappa Gowtham and Shreyas Gopal would be the leading spinners with Indian pacers Dhawal Kulkarni and Jaydev Unadkat assisting Jofra Archer, who would their top wicket-taker. Like in the last season, Chris Gayle and KL Rahul will open the batting for Kings XI Punjab and would be the team's best bet to give them a great start. Mandeep Singh would be in the role of the finisher while Ravichandra Ashwin and Sam Curran would also look to score some runs for the team in the lower middle order. Mohammed Shami and Andrew Tye would shoulder the responsibility of KXIP's pace attack with Varun Chakravarthy, the mystery spinner, being the team's x-factor. *NB these predictions may be changed nearer the start of the match once the final starting teams have been announced and we will be running ‘In–Play’ features soon, so stay tuned. You can follow all the action on and off the field for the entire Indian Premier League 2019 with IPL 2019 Live - Live Cricket Streaming Scores, Match Schedules, Points Table, News, Results, Twitter, Facebook and social updates from Chennai Super Kings, Mumbai Indians, Rajasthan Royals, Royal Challengers Bangalore, Delhi Capitals, Kings XI Punjab, Sunrisers Hyderabad and Kolkata Knight Riders.